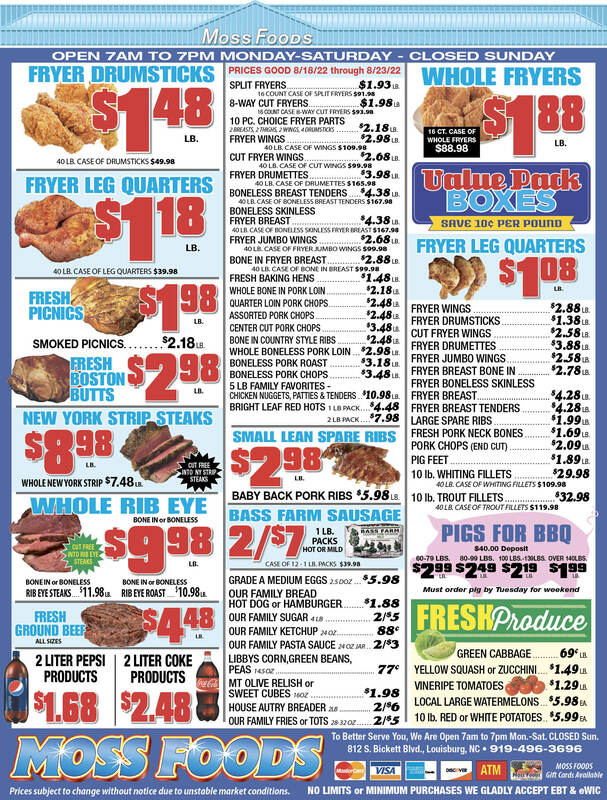 Showing 32 articles from November 14, 2018. Great day for breaking ground! LOUISBURG -- Skies were grey and droplets fell from the heavens Tuesday morning, making visibility pretty tough. But it wasn't the weather that had many gathered near U.S. 401 thinking they'd never see this day -- it was the decades of unfulfilled promises, near misses and inactivity that clouded the prospect of seeing significant U.S. 401 improvements in Franklin County. LOUISBURG -- Duke Lifepoint and Maria Parham officials broke ground on a facility that will address a pressing need in the area and region -- mental health. Maria Parham Franklin opened its doors in October, providing emergency room and lab services, along with geriatric behavioral care -- psychiatric health care for those 55 and older. LOUISBURG -- To be fair, the acoustics in the National Guard Armory aren't the greatest. However, any serviceman or servicewoman who has passed through one, or any like it, certainly has good hearing. 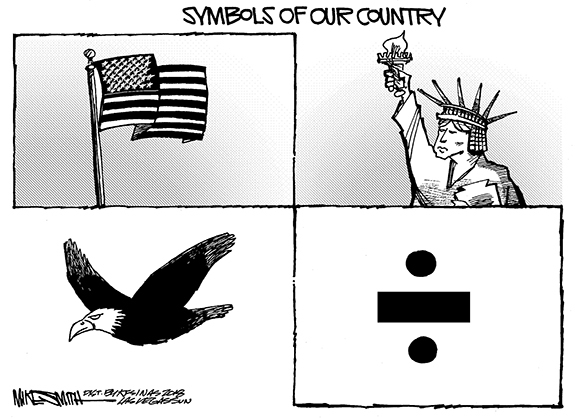 That's because, Franklin County Veterans' Day celebration speaker Ret. 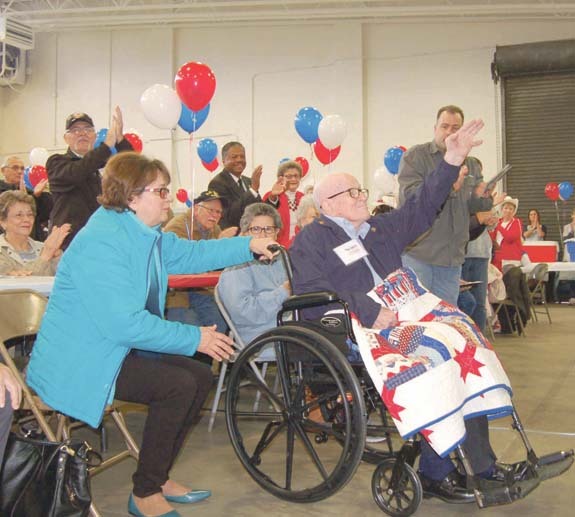 Col. Archie Taylor Jr. said, veterans have always heard and answered the call to service. Wow. 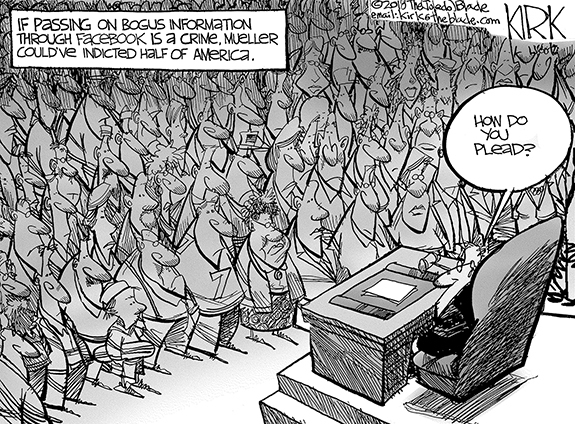 That was quite an election last week. Not sure about you, but I'm glad to be looking at that one in the rearview mirror. 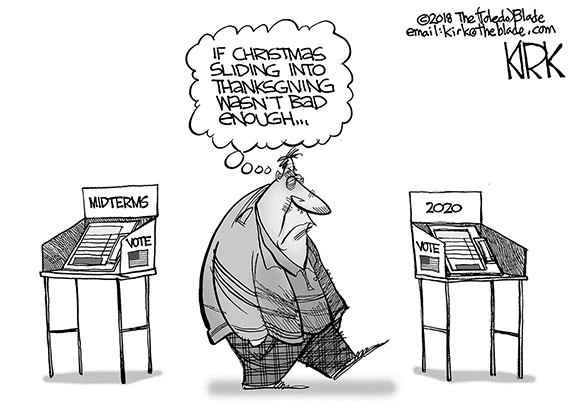 But it did change some things in Franklin County -- and we'll have to see what the long-term effects will be. One of the most troubling changes is that Franklin County will have no local folks representing it at either the state or federal level. A ribbon cutting on Tuesday marked the official, formal start of improvements to U.S. 401 in Franklin County. Actually, construction has been underway for a few weeks, mostly clearing and doing some preliminary grading work for a construction process that will take a couple of years or maybe just a tad longer. CNN sues Trump Administration: Demands returns of reporter's White House credentials. FRANKLINTON--Gladys Roberts Brown of Franklinton, NC, passed away peacefully at Louisburg Nursing Center on November 1, 2018, at 107 years old. Gladys was born on September 27, 1911 to Genadius and Nellie Grant Parrish Roberts in Franklinton. She graduated from Franklinton High School and completed a post graduate business course there. EYE ON THE BALL. 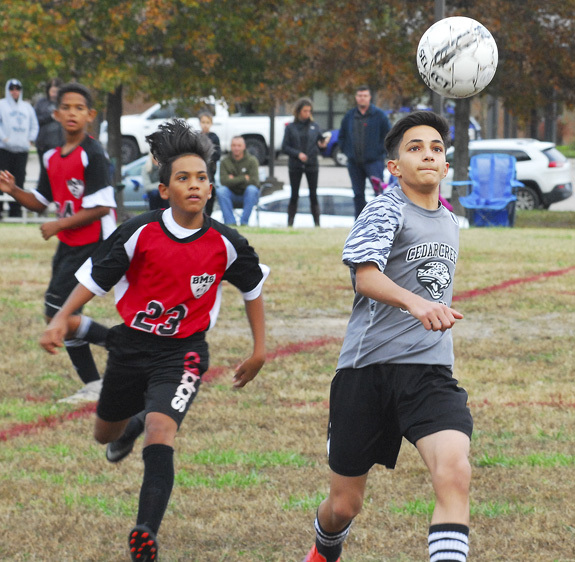 Cedar Creek's Shapoor Qazizada (right) attempts to gain possession during last Thursday's MAC Boys Soccer Tournament Championship at Bunn Middle School. 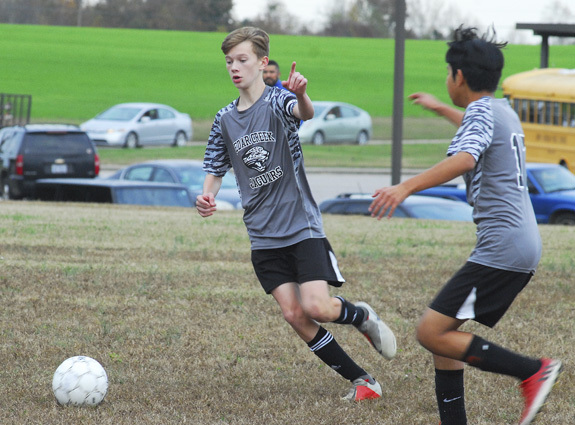 BUNN -- After clawing to a hard-fought tie earlier in the season, it was all but expected that Bunn Middle and Cedar Creek would wind up facing each other again on the soccer field -- this time with a league championship at stake. 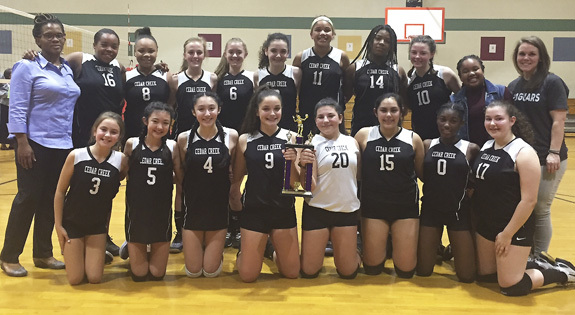 That's how things played out in the Middle Athletic Conference this fall as BMS hosted the Jaguars last Thursday in the title contest of the MAC Tournament. 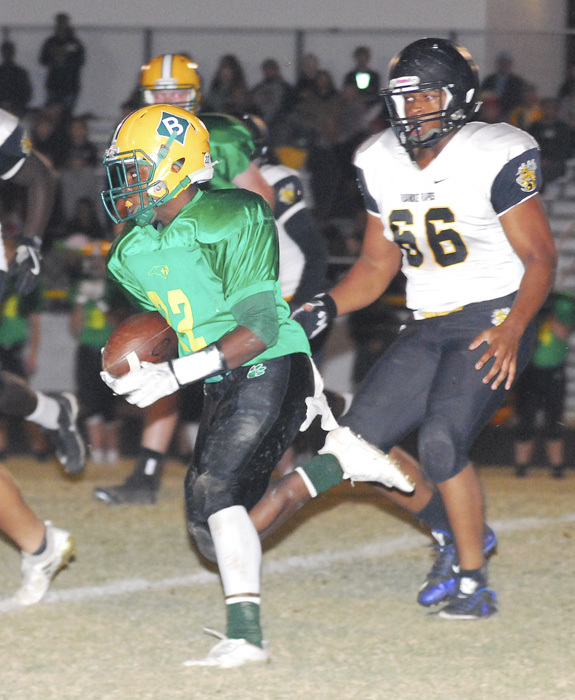 BUNN - Bunn could have simplified the final Northern Carolina Conference football standings with a victory Thursday at home against Roanoke Rapids. 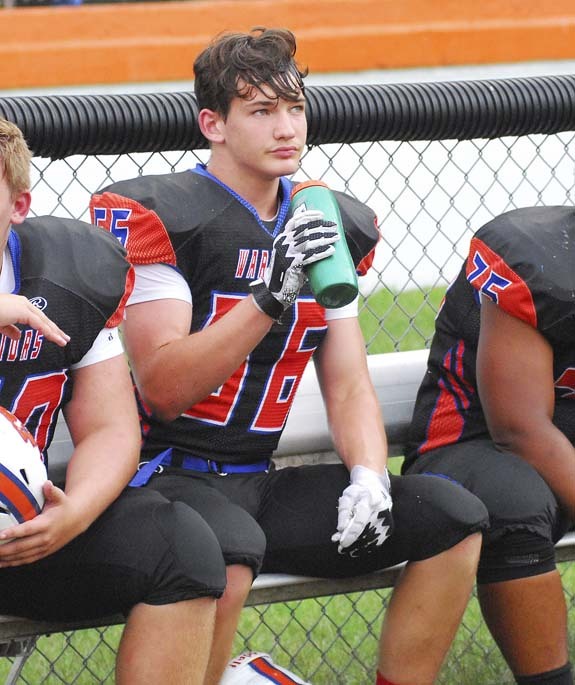 With a win, the Wildcats were set to clinch third place outright in the NCC, along with a more favorable seed for the upcoming Class 2-AA State Playoffs. But the visiting Yellow Jackets had other ideas as they made the league standings a mess with a 27-14 decision. SCREEN SHOT. 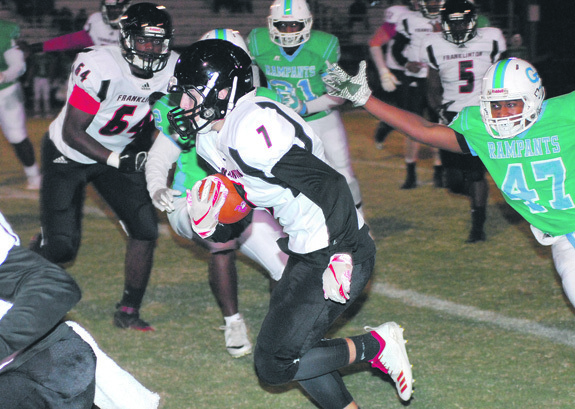 Franklinton High School's Will Germann soars upfield after receiving a screen pass during last Friday night's non-conference football meeting with the Greenville Rose Rampants in Pitt County. GREENVILLE -- Perhaps it was fitting that one of the strangest regular seasons in recent high school football memory would end with yet another crazy, unexpected occurrence. Due to poor weather, the campaign has featured cancellations, reschedulings and made-up events that were staged on just about every weeknight. 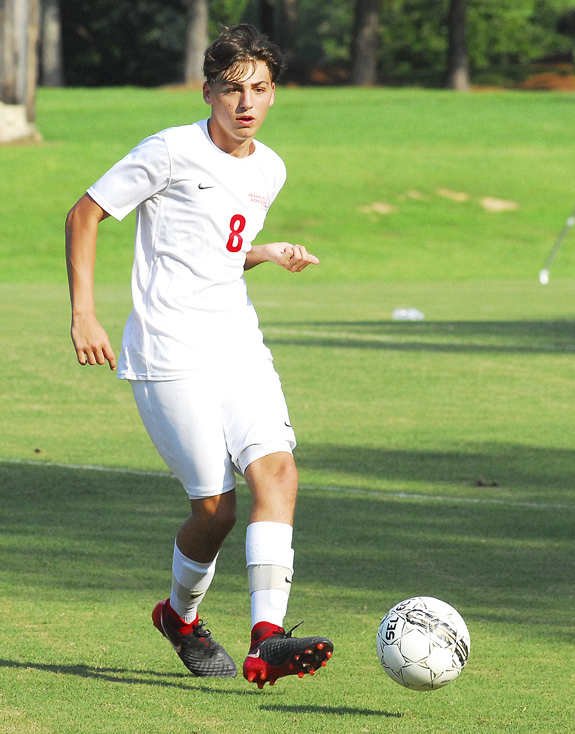 FRANKLINTON -- Franklinton continues to make a quick ascent toward the top of the Big East Conference boys soccer standings. The Red Rams, in their second campaign in the Big East, finished as the league's regular season runner-up and took title holder Wilson Fike to penalty kicks in the conference tournament championship before falling in heartbreaking fashion. FRANKLIN COUNTY -- Each of Franklin County's high school gridiron squads were able to qualify for the North Carolina High School Athletic Association State Football Playoffs -- but you'll have to travel a bit in order to watch them in action this Friday. Bunn, Franklinton and Louisburg will all be playing games -- and all of them will be on the road. 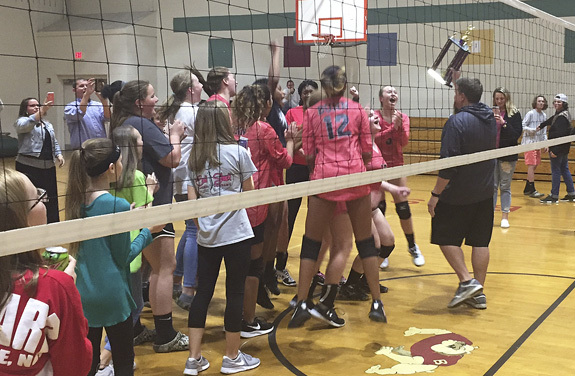 BUNN -- Coach Kandar Artis has brought nothing but success to the Bunn Middle School volleyball program since she arrived at BMS a few years ago. Artis certainly knows about volleyball in the area as she starred at Bunn High School before playing at North Carolina Wesleyan College. Artis ended up coaching the varsity team at Southern Nash High School before yearning to return home -- and the spike job was available at BMS. WILMINGTON -- Staring at a 2-0 deficit and needing to win one of its final two matches to earn a Colonial Athletic Association tournament berth, UNC-Wilmngton rallied for a 3-2 volleyball win (23-25, 22-25, 25-18, 25-19, 15-10) over visiting Elon last Thursday at Hanover Hall on the UNC-W campus. The Senior Night win halted a brief two-match losing streak for the Seahawks and raised their campaign record to 14-11 overall and 7-8 in the CAA. BUNN -- Bunn High School will kick off its 2018-19 boys basketball schedule on Nov. 20 with a home contest against the Wilson Hunt Warriors in non-conference action at the Bunn Dome. 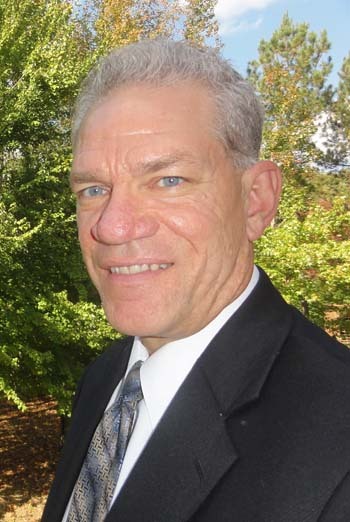 Bunn High School will once again be coached by veteran skipper Patrick Reynell. 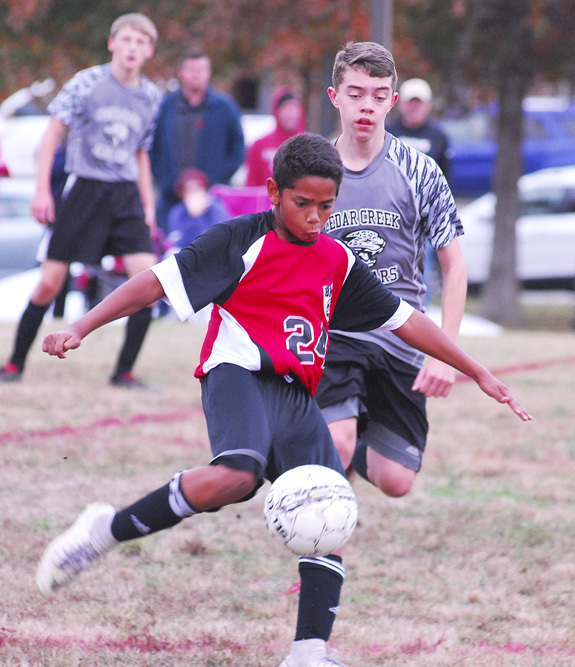 Seth Davis (right) enjoyed an exceptional season for the Franklinton HS Red Rams, who finished second overall in the Big East Conference boys soccer standings. Cedar Creek Middle School standout midfielder Fonzie Flowers Jr. shows a teammate where to go to receive a pass during last Thursday's MAC title matchup. 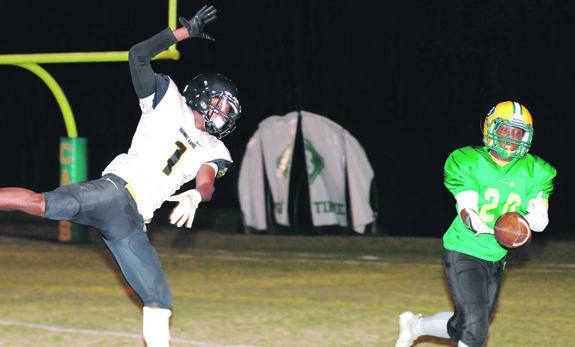 Bunn's Raekwon Dunston (right) can't come up with a catch during last Friday night's important Northern Carolina Conference football game at home versus Roanoke Rapids. 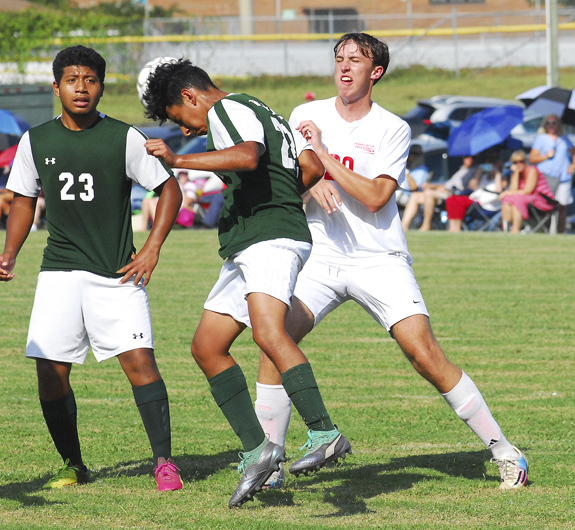 Bunn's Elijah Pittman advances the ball through the midfield during last Thursday's victory over Cedar Creek in the championship matchup of the Middle Athletic Conference Boys Soccer Tournament on the BMS campus. Pianist/organist Daniel Steinert will return to Cherry Hill on Nov. 18. 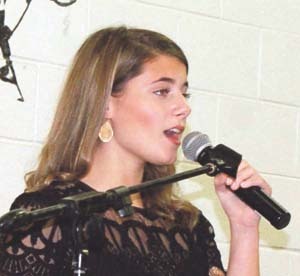 The 3 p.m. program will feature lyric soprano Farren Hilliard and will include works by Bach, Schumann, Strauss, Brahms, Puccini, Gilbert and Sullilvan, Rodgers and Hammerstein, and other well-known composers. Hilliard is from West Columbia, SC. In 2015 she completed a graduate vocal performance degree at Appalachian State University. 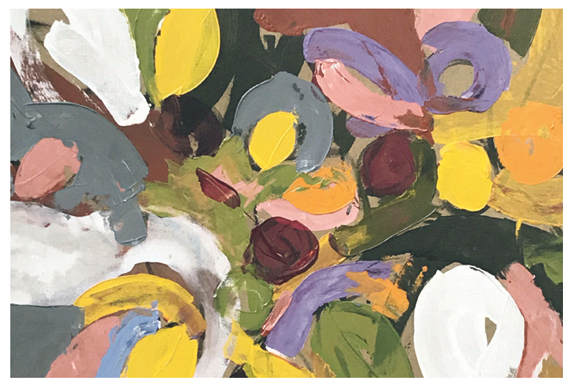 Louisburg College's Edith C. Lumpkin Community Gallery at the JPAC is hosting its latest exhibit in the traveling series for 2018-19: Jane Bolmeier: A Student's Eye, A Painter's Soul will be on display until Friday, Nov. 30. In an twist of irony, this exhibit is also the newest addition to the college's permanent collection. YOUNGSVILLE -- The town is in the midst of its most significant overhaul in years, and a potential change in government authority could be part of the transformation. Since firing its last full-time town administrator in July 2011, the town has relied upon part-time administrators to bolster its finances and stabilize government operations. LOUISBURG -- Police arrested a Warrenton man they allege assaulted a woman inside Walmart. Larry Darnell McLean, 65, was arrested Tuesday evening and charged with assault inflicting serious injury -- a felony. According to Louisburg Police Chief Jason Abbott, officers responded to the store at about 5:30 p.m. to find 76-year-old Joyce Earl suffering from an injury to the head. Gunshot wounds man; two incidents related? FRANKLINTON -- Police believe two shooting incidents in two weeks are related. The first injured a man. The second caused property damage. Fred Stewart, right, and other Louisburg activists gathered in front of the Franklin County Courthouse on Nov. 8, joining a nationwide protest of President Trump installing an ally, Matthew Whitaker, as Acting Attorney General, taking oversight of the Mueller investigation into allegations of Russian interference in the 2016 election. BUNN -- Commissioners approved a new business for town, but held off on making a decision about other business prospects until they gather more information. And they tabled a policy that would guide how the town buys goods and services until the beginning of next year. First during the Nov 5 meeting, Wake Forest resident Tommie Lowe Jr. appeared before the board during a public hearing, requesting that they amend text in their zoning policy to allow for the sale of new and used cars in the downtown commercial zoning district.